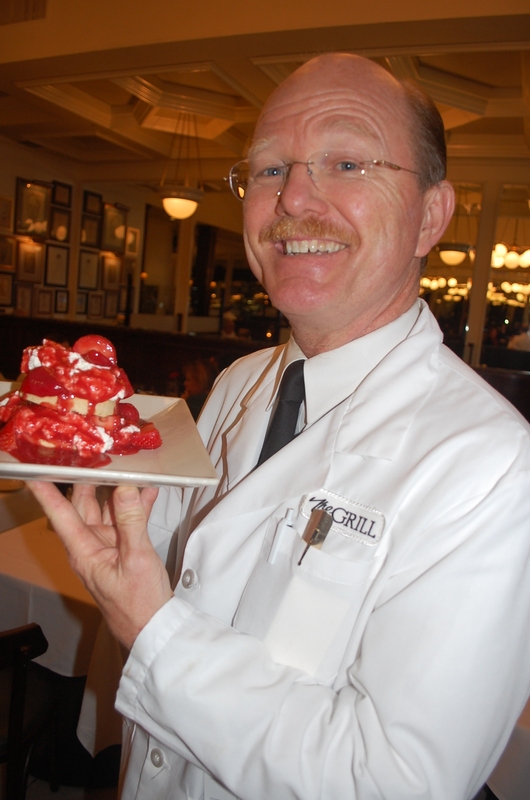 Just steps from Rodeo Drive sits the Beverly Hills institution, The Grill on the Alley. A friend and I visited The Grill for lunch, where we heard the happy chatter of regulars sipping beverages and dining on Cobb salads, chicken pot pies and daily specials. The restaurant was packed with people at 1:30 p.m.
Once we were seated, our waiter, Greg, shared the daily specials. I was surprised to hear that the restaurant sells more seafood than steak and chops. “Today we have John Dory,” Greg said with a big smile. “Patrons call in advance, asking for John Dory,” he said. Many reserve one or two ahead of time to guarantee a plate. Click on the link below to finish reading my review. Courtesy of the Beverly Press/Park La Brea News. Published on 12/1/11.